This is the 1 oz. Red base refill for use in the Dark Ultra Matrix 3000 Foundation Kit. This is the 1 oz. Yellow base refill for use in the Dark Ultra Matrix 3000 Foundation Kit. This is the 1/2 oz. White base refill for use in the Dark Ultra Matrix 3000 Foundation Kit and the Ultra Matrix 3000 Mini Kit. This is the 1 oz. White base refill for use in the Light Ultra Matrix 3000 Foundation Kit. This is the 1/2 oz. Yellow base refill for use in the light Ultra Matrix 3000 Foundation Kit and the Ultra Matrix 3000 Mini Kit. This is the 1/2 oz. Red base refill for use in the light Ultra Matrix 3000 Foundation Kit and the Ultra Matrix 3000 Mini Kit. This is the 1/2 oz. 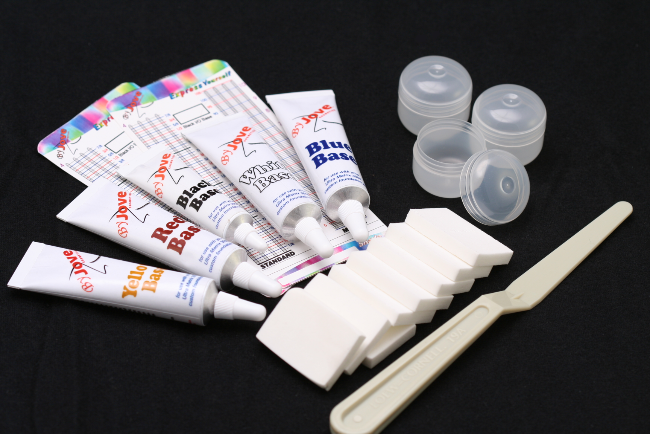 Blue base refill for use in the light Ultra Matrix 3000 Foundation Kit and the Ultra Matrix 3000 Mini Kit. This is the Black Base refill for all Ultra Matrix 3000 kits. This is the replacement palette knife for both the light and dark Ultra Matrix 3000 Kits. If you need more makeup containers, these are sold in packs of six. This is the 1 oz. Blue base refill for use in the Dark Ultra Matrix 3000 Foundation Kit. These are the replacement latex free sponges for your Ultra Matrix 3000 kit. in either our 1/2 oz. or 1 oz. tube sizes. You can also buy additional palette knifes, sponges and containers.